The 2007 Jeep introduced third-generation Wrangler JK model which for the first time came with 4 doors option. JK Wranglers 4-door model is known as "Unlimted". CJ in Jeep stood for "Civilian Jeep", so what does JK stand for? This Jeep model hit the USA market in 2015, since than there are several Jeep accessories in the market for Jeep Renegade. 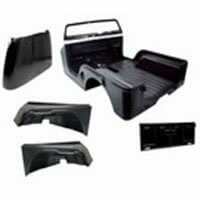 In this blog post we have listed popular Jeep accessories available for this vehicle at ShopJeepParts.com. This kit is ideal for situations where using a winch is either overkill or won’t help. This high quality kit includes single steel handle with four interchangeable heads. There are plenty of Jeep accessories for offroader's, however this is a must have. Handy kit doesn't require much space. 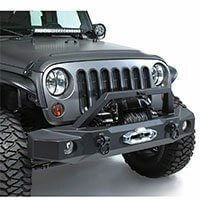 At ShopJeepParts.com, we offer one of the largest selection of online Jeep parts and accessories. 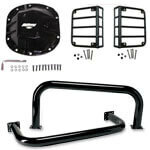 If you are shopping for OEM Jeep parts or high quality aftermarket Jeep accessories you have come to the right place. Here you can find just about anything you are looking for your ride when browsing through 15,000+ products covering Jeep years starting from 1941. Our inventory includes discount Jeep parts for Jeep Willys parts, Jeep CJ5 parts, Jeep CJ7 parts, CJ8 parts, Wrangler YJ, Wrangler TJ, Wrangler JK, Cherokee XJ, Cherokee KL, Grand Cherokee ZJ, Grand Cherokee WJ, Grand Cherokee WK, Comanche, J10 and J20 Trucks, Commander, Patriot, Liberty, Renegade and Compass. When you shop Jeep parts online at ShopJeepParts.com, you can be confident that you will receive high quality Jeep aftermarket parts & accessories at low prices, plus all parts we sell come with a minimum 1 year warranty. Rugged Ridge Jeep Accessories carry a 5 years warranty, Allow USA performance Wrangler parts carry upto 10 years warranty. Every effort is made to make sure all products listed in our online store descriptions and applications are accurate so you can get the right parts first time. Every part we sell comes with guaranteed fit promise and 100% satisfaction. 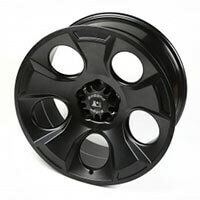 If there are ever any issues with fitment, we will cover return shipping. 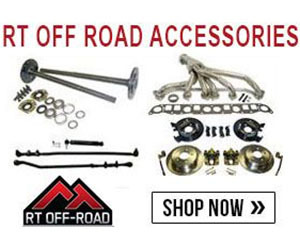 All online Jeep parts are carefully selected and backed by expert advice whenever you need it. We can help you get your Jeep back on the road or give it a unique look with the latest accessories in the market. Shop Jeep Parts is confident that customers get the best deal on exceptional products through us. Our low prices coupled with our superior customer service ensure you have the best deals available as well as a good shopping experience from start to finish. You will always be treated with the utmost respect and care. Our goal is 100% customer satisfaction. 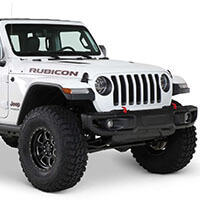 ShopJeepParts.com is where to buy replacement Jeep parts online like AC compressor, Brakes, Steering, Body Parts, Suspension Parts, Engine Parts, Fuel Parts and many other wholesale Jeep parts. We only sell the high quality parts to our valued customers, so you will never need to worry about the quality and performance of our parts and accessories. 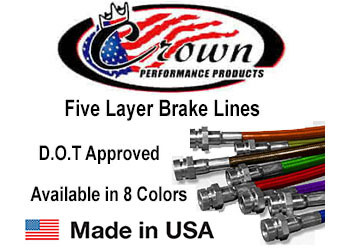 All parts are guaranteed to meet or exceed original factory install specifications. We encourage you to explore our huge selection of Jeep Wrangler parts online, though if you cannot find what you need, please don’t hesitate to call us today, and we’ll help you find the parts you need. 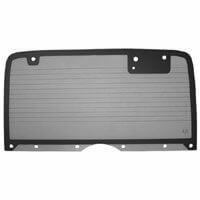 Our Jeep online store specializes and carries almost all cool Jeep Wrangler accessories. Even though your Jeep Wrangler will leave the factory with all the performance capabilities that you may need, there always is room for improvement. Since Jeep Wranglers are so popular, market is flooded with all type of the coolest Jeep accessories to greatly enhance your SUV’s performance and functionality. Only way to ensure your Wrangler is in tip top condition at all time is to replace any worn out or damaged parts with aftermarket Jeep Wrangler upgrades as soon as possible. 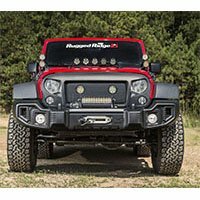 Shop Jeep Parts is where you will find high quality Jeep lighting, Wrangler LED lights, which will significantly increase your visibility on the road. In addition to Jeep Wrangler lighting, we also sell a diverse array of Jeep Wrangler exhaust and Jeep Wrangler suspension parts. Wrangler performance parts include Jeep exhaust system, cold air intake kits and more. 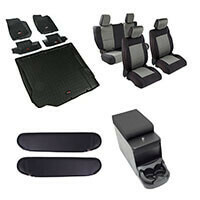 Don’t forget about the Jeep Wrangler interior accessories like floor mats, trim kits, Jeep seat covers and so on. Regardless of what needs and desires that you have for your Wrangler, you can rest easy knowing that you will be getting quality Jeep Wrangler parts from ShopJeepParts.com. 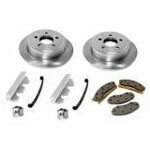 Buy Jeep Wrangler parts & accessories today! we will take good care of you.